On this page I offer you binary builds of dogecoin and catcoin Qt client and daemons as convenient debian DEB packages primarily suitable for Ubuntu 12.04 but hopefully working on other versions of Debian/Ubuntu too. 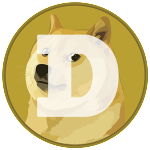 Dogecoin is a brand new and somewhat funny digital currency based on scrypt, the same algo as Litecoin uses. GPG key that I used for signing the packages is here. 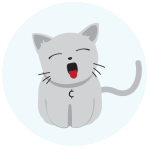 UPDATE: Yet another cute cryptocurrency appeared, catcoin :-) It has the same settings as bitcoin but using scrypt instead of SHA256. 64bit version will be available perhaps later, if there will be the demand for it. Předchozí Předchozí příspěvek: Transition to Sustainability: What did WWOOF volunteers at an organic farm learn?